Indian golfers Arjun Atwal and Anirban Lahiri made the cut at the Quicken Loans National golf tournament. Atwal added a second successive one-under 71 to get to two-under 140 and tied-36th place at the midway stage of the tournament. Also making the cut, right on the line, was Lahiri, who followed up his first round 71 with another 71 to stay even par for 36 holes and he is tied-67th and ensured work for the weekend. At the top, Jon Rahm, making his professional debut, received a lot of fan support, as he got into shared lead at 11-under. He followed up his first round 64 with 67 in the second. Atwal had three birdies, on first, second and ninth, while he bogeyed the third and 18th. Lahiri bogeyed second and seventh and birdied eighth and ninth. On the back nine, he birdied tenth, but gave away a shot on 18th. Co-leader Rahm was playing with local golfer Bobby Hurley III and helped even more that the two players went shot-for-shot Friday to share the lead. Rahm and Hurley were tied at 11 under, three strokes ahead of Vijay Singh going into the weekend at Congressional. Rahm, who's playing his first event as a professional, said he couldn't be happier by following a great first round with a second-round 67. Rahm would have had sole possession of the lead had he not missed a 10-foot par putt on the 18th hole. Vijay Singh put on a show what Ernie Els did Thursday. Singh turned in a 66 that was most memorable for his shot from the edge of the water on No. 18. 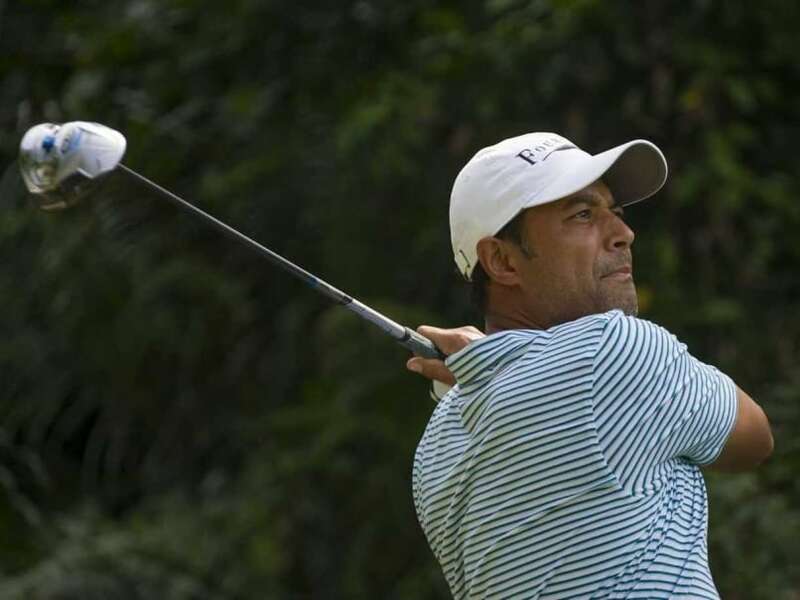 The 53-year-old Singh hasn't won on the PGA TOUR since 2008. He will become the oldest PGA TOUR winner if he captures the Quicken Loans National. Els bogeyed first and 18 but played well enough in between to finish with a 69 to get to 7-under along with Webb Simpson (68), Bill Haas (69) and Harold Varner III (69).